Middle Earth is an amazing fictional world, but if you want to really get to know it, you've got to read a lot of words. So if you're in the mood for a little Tolkien fantasy without hunkering down for a serious reading session, Google's brand new tour of Middle Earth is a beautiful (and effortless) way to get your fix. 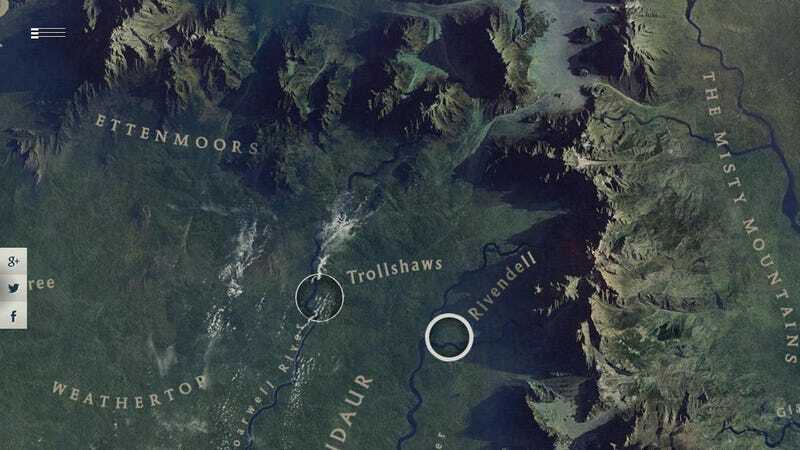 A new Chrome Experiment, Google's Middle Earth tour takes the form of a beautiful map, peppered with with locations featured in The Hobbit, each with its own unique, mesmerizing, and pretty little mini-game experience. Whether you're deep into the lore, or just a passing fan who's seen half of a few of the movies, it's a great little diversion to help you waste a couple minutes traveling to a foreign land with visuals at least as good as your low-res imagination.